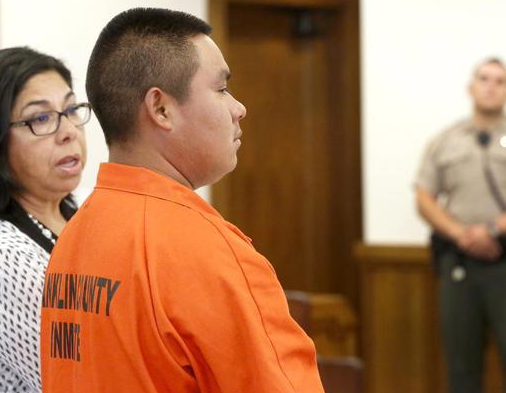 A previously deported illegal alien was arrested for a double murder earlier this summer. Dead are an 18 year old mother and her 3 year old daughter. I know that to the left, what I’m about to say is clear as mud, but to those of us who know the superiority of western culture, it is quite simple. Those from the third world do not share our values and they do not have the native intelligence to change their ways to become successful in this country. Yet some groups in this nation want to import more legal and illegal immigrants who do not and who will never share the values that have made this country successful. Maria G. Cruiz-Calvillo, 18, and Luis F. Lopez-Cruz were identified Monday as the bodies found last week inside a vehicle that was set on fire in a ravine near the intersection of Scootney and Ridge roads. Luis likely was still alive when the car went up in flames, according to Dan Blasdel, Franklin County coroner. Luis would have turned four years old on Thursday. Prudencio Juan Fragos-Ramirez, 25, of Connell, reportedly had recently started dating Cruiz-Calvillo and is suspected of killing the pair. Fragos-Ramirez was arrested hours into the investigation at his home less than a mile from where the bodies were found. He appeared Monday in Franklin County Superior Court, where Judge Carrie Runge set bail at $1 million. Runge ordered Fragos-Ramirez, who has previous convictions for DUI and driving while suspended, held for up to 72 hours while prosecutors determine what charges to file. Prosecutors say Fragos-Ramirez was deported in 2014 and got back into the country illegally.